as of right now, this is my phone case. it is a handmade, bejeweled hello kitty monstrosity that i bought off etsy. of course, this is way more epic in real life and, i feel, more than ever, that this should be displayed in a museum–right in between, like, rauschenberg and warhol. rhinestones, hearts, roses, jewels, everything girly combined into one magical entity. i have absolutely NO SHAME. February 17, 2011. 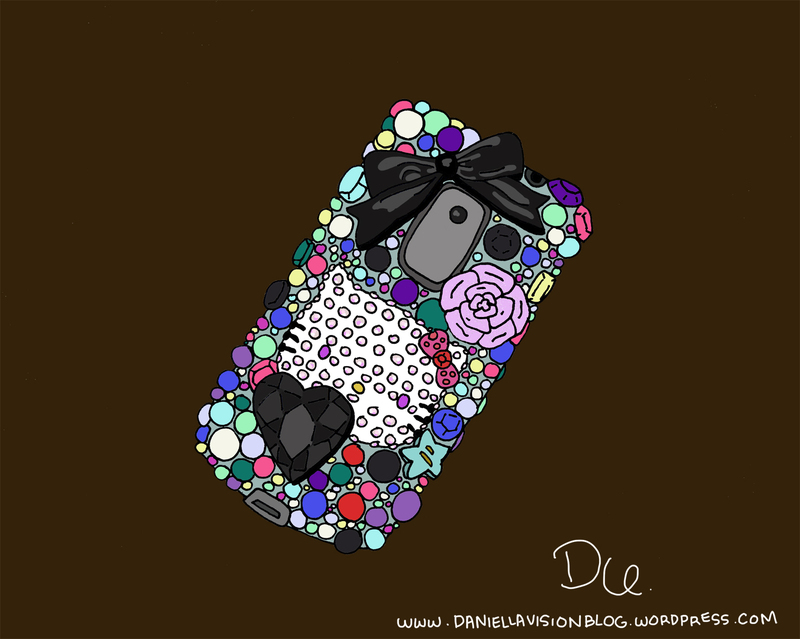 Tags: bejeweled, bling phone case, cell phone, hello kitty, htc hero. drawings. Leave a comment.